Dr. Veronica Pedro is a board-certified orthopedic surgeon, certified independent medical examiner, and certified workers’ compensation manager with expertise in orthopedic hand surgery. Dr. Pedro has advanced training in upper extremity and microvascular surgery with a certificate of added qualifications in hand surgery. Her areas of expertise include hand and wrist fractures, upper extremity traumatic soft tissue injuries, and reconstruction of the arthritic hand and wrist. 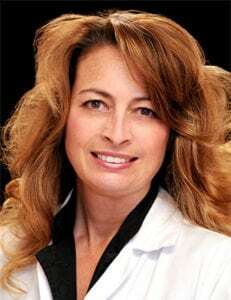 After earning her medical degree from Loma Linda University School of Medicine in California, she completed her general surgery internship and orthopedic residency at Loma Linda University Medical Center. Additionally, Dr. Pedro performed an orthopedic hand surgery fellowship at the University of Alabama- Birmingham. She was honored with the Janet M. Glasgow Memorial Achievement citation, certificate of appreciation from Riverside General Hospital, and the Leon Hess Biology Scholarship. In addition to practicing orthopedic surgery, Dr. Pedro serves on the board of trustees for Palms Wellington Surgical Center and was a member of the board of trustees for Palms West Hospital for six years. Dr. Pedro's research is published in peer-reviewed journals. Dr. Pedro is a member of the American Academy of Orthopedic Surgeons, American Medical Association, California Medical Association, Florida Medical Association, Southern Orthopedic Association, Palm Beach County Medical Society, Neufeld Society, and Ruth Jackson Orthopaedic Society. Dr. Pedro is dedicated to providing technically superb, compassionate, and timely medical care to our patients. She looks forward to the opportunity to work with you to serve your patient care needs. Find out what Dr. Pedro’s patients are saying about her quality orthopedic care.